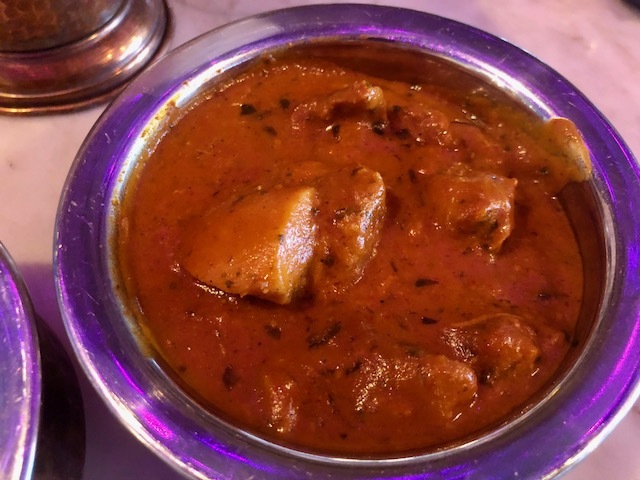 Restaurant Week has descended upon NYC once again and this year and I decided to do a solo lunch at Indian favorite Babu Ji. This place was all the rage a few years back and I never got a chance to go. Luckily Babu Ji has since moved into a bigger space close to Union Square and I was able to easily grab a spot at the bar last Sunday afternoon. To begin the dish that Babu Ji is most famous for the Colonel Tso's Cauliflower; fried cauliflower tossed in a sweet and spicy Tso's sauce then finished with sesame seeds, chives and nigella seeds. The flavor of these fried nuggets were spot on, sweet and sticky at first with a gentle heat that grew the more I consumed. However the veggies were cooked incredibly uneven; some bites were perfectly tender while others were so hard my knife didn't even make a dent. Onto the main course Unauthentic Butter Chicken served with a bowl of basmati rice and garlic naan. Wow- this Butter Chicken was exquisite. Big flavors of garlic, tomato and ginger melded into the tender chunks of chicken creating a rich, spicy and satisfying dish. I wanted to pick up this bowl and drink down every little last bite. 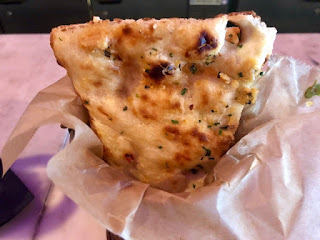 The sauce was so good it even made up for the Garlic Naan that arrived slightly cold and lacking any of that intense garlic flavor I was hoping to find. 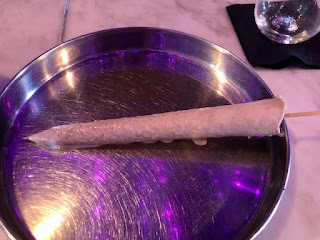 For dessert Chai & Biscuit Kulfi that tasted like eating a delicious frozen horchata. This was a great way to provide a refreshing finish to such a spicy meal. 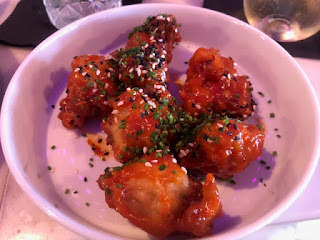 Overall Babu Ji was a solid choice for Restaurant Week even with the inconsistent cooking. The menu actually listed all of their "hits" and it's one of only a handful of places offering a full three course lunch for $26.